Our best selling power rack gym by far. 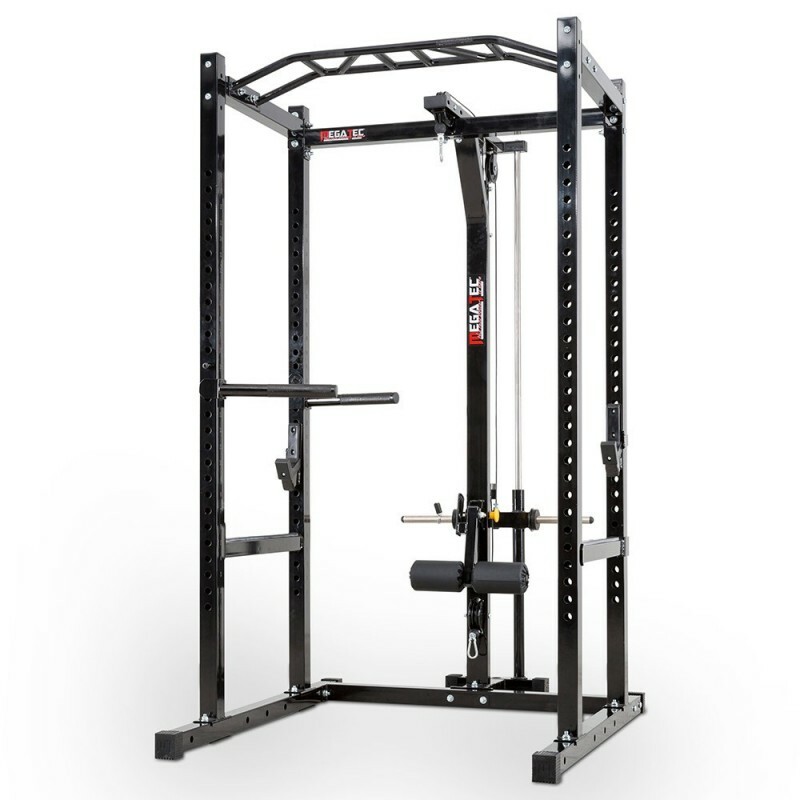 The Megatec Power Rack System is the go to option for those looking for a free weight training platform for their home gym or studio. 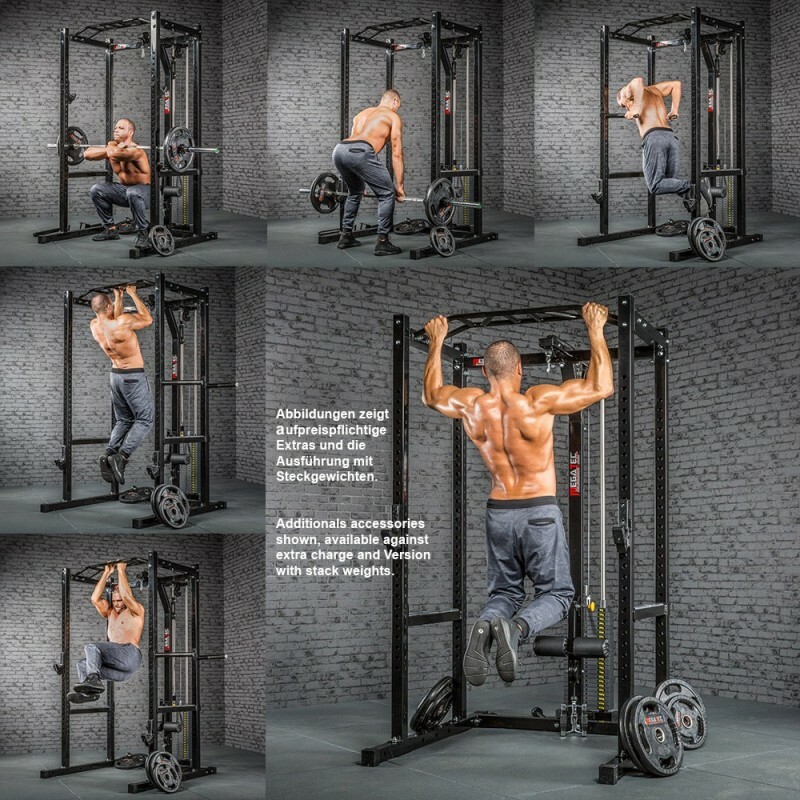 Inclusions Multi grip chin up bar, dip handles, 1 x pair of J-hooks, 1 x pair of spotter bars, lat pulldown option. 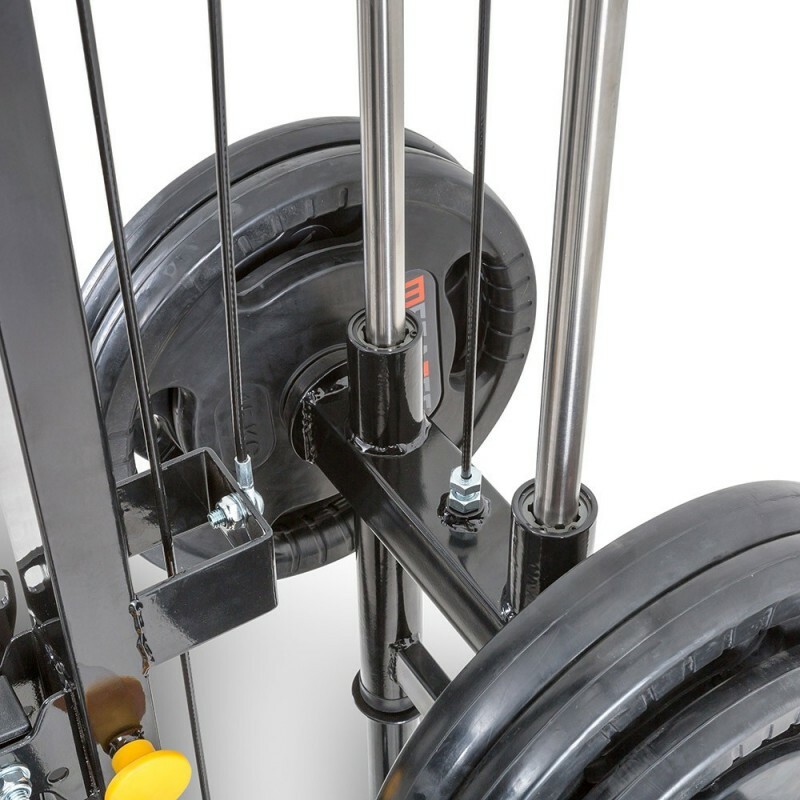 Weight Plates, Cable Attachments and Barbell are sold separately. 2 x Olympic Sleeves. 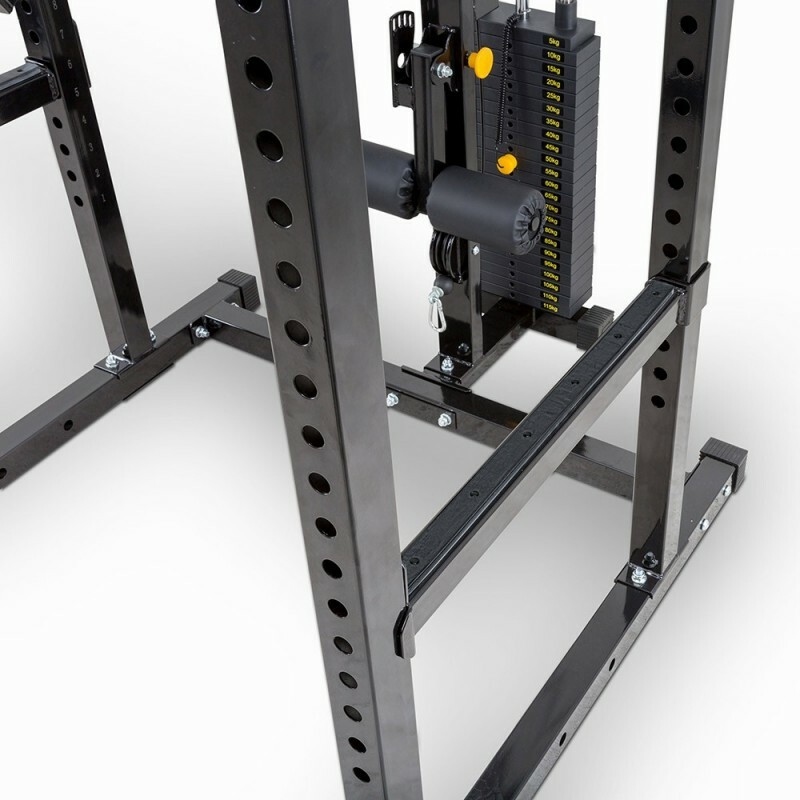 The Megatec Power Rack System is the baby brother of the world famous Barbarian Power Cage System. 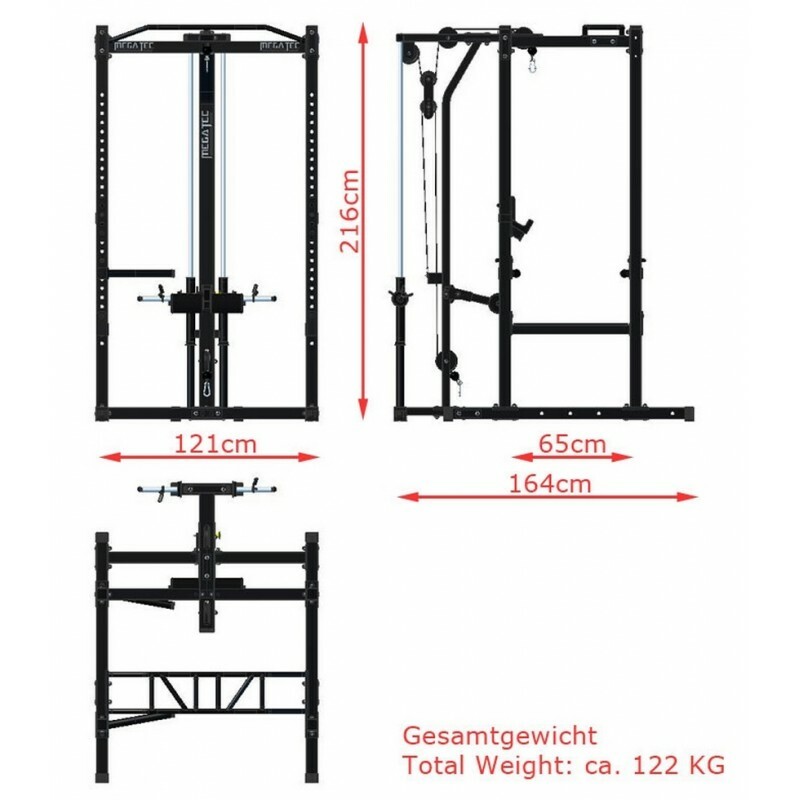 So if you can't quite scrape together the coin, or don't have the room for the Barbarian set up, you can still get a quality, German designed power rack system for your home gym. J-Hooks - The same design as the awesome Barbarian Line & ATX models. Revolutionary protective sleeve to protect your barbell knurling. German Design - They can make a rack with a massive load capacity for a great price. 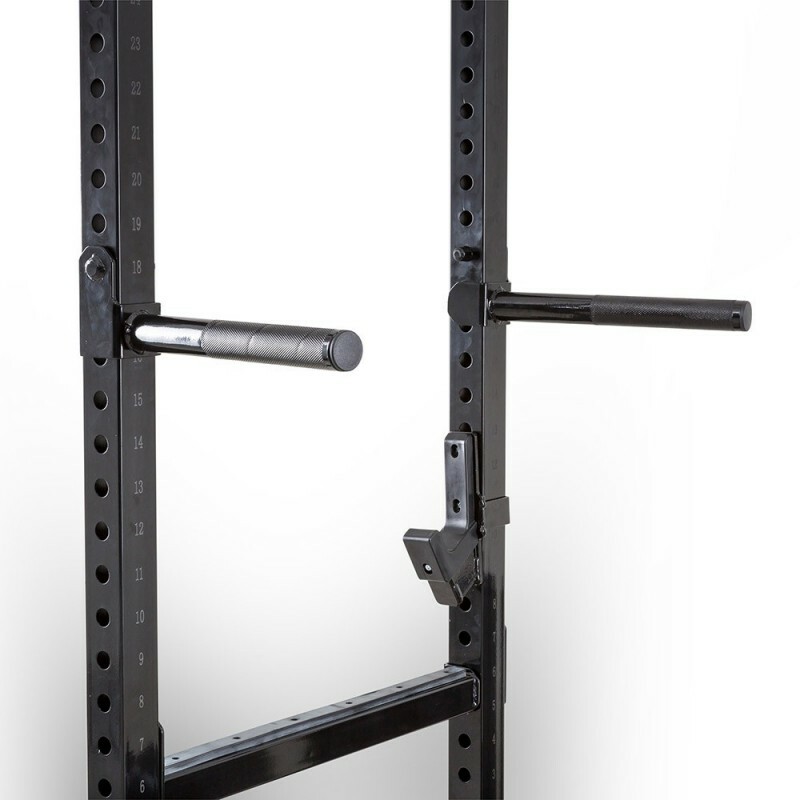 Multi Grip Chin Up Bar - From a super wide 107cm grip, with multiple grip positions in between. Neutral, angled and flat. 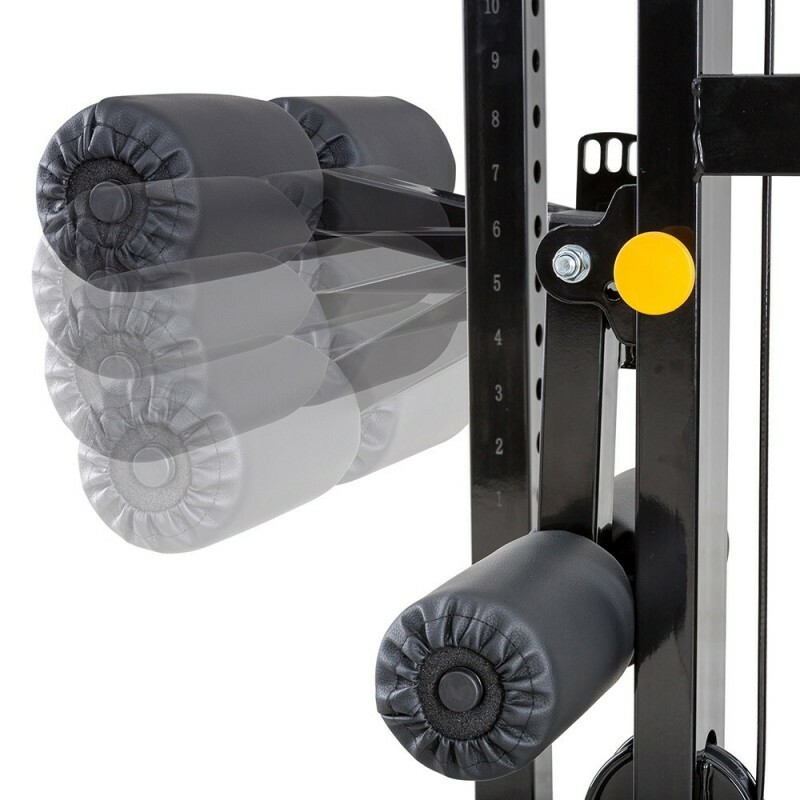 Adjustable Spotter Bars - Train safely on your own. 10mm thick rubber strip to protect your barbell. Easy to use - 28 adjustment positions spaced 50mm apart. With numbering - for both j-hooks and spotter bars. Band Training - Holes in the base for optional resistance band pegs. 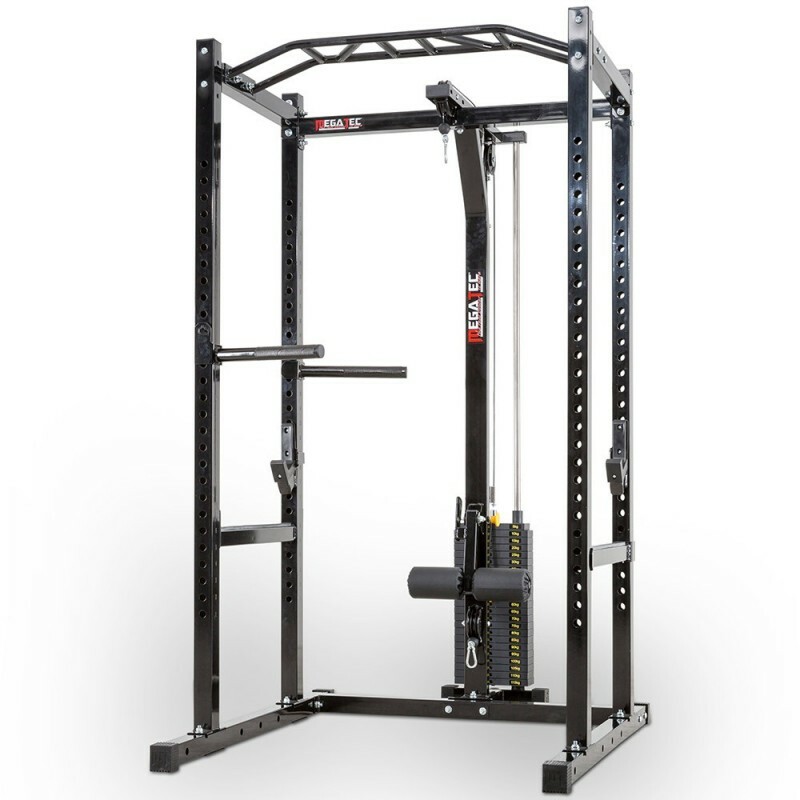 The big advantage these power rack gyms have over the competition is the lat pulldown. 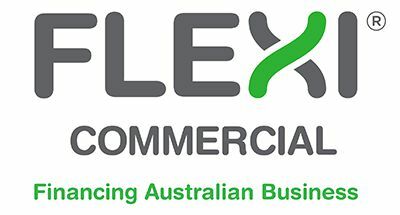 You will see others listed for a lot cheaper, but the pulldowns are rubbish - plain and simple. Megatec utilises the same design and technology that is used on their commercial Barbarian Line. 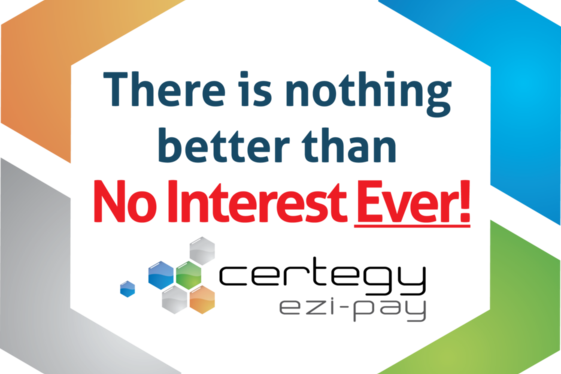 So you can be assured it will handle plenty of weight of with ease. Heavy Duty - Rated for 160kgs. Direct Resistance - Pure 1:1 weight ratio. No mechanical advantage. Smooth Movement - Weight carriage slides on precision nylon bushes with chrome guide rails. Quality Parts - Industrial cable with bearing driven pulleys. Go Hard! - Leg lock for heavy pulldowns! 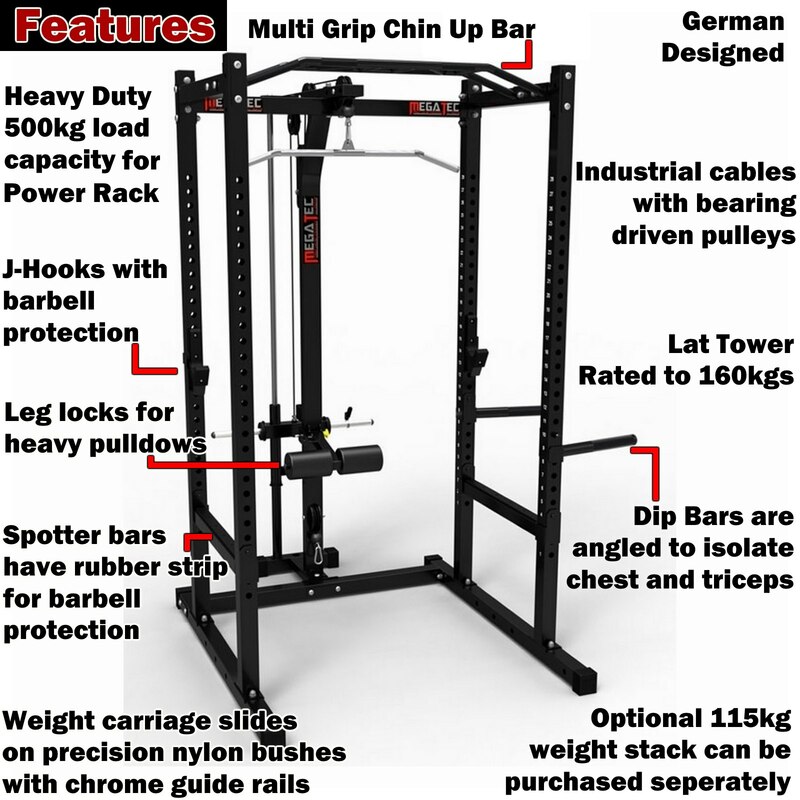 Optional 115kg weight stack available. 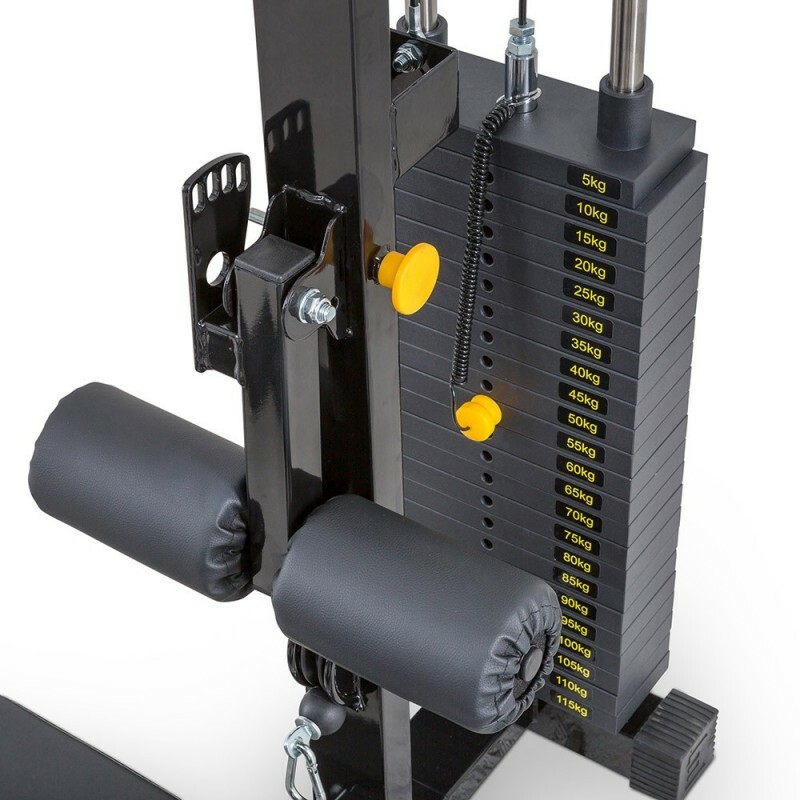 Note: The Power Rack System Plate Loaded comes with Olympic sleeves for Olympic weight plates. They slide over 30mm steel horns. If you intend on using standard weight plates, the internal hole needs to be 31+mm. 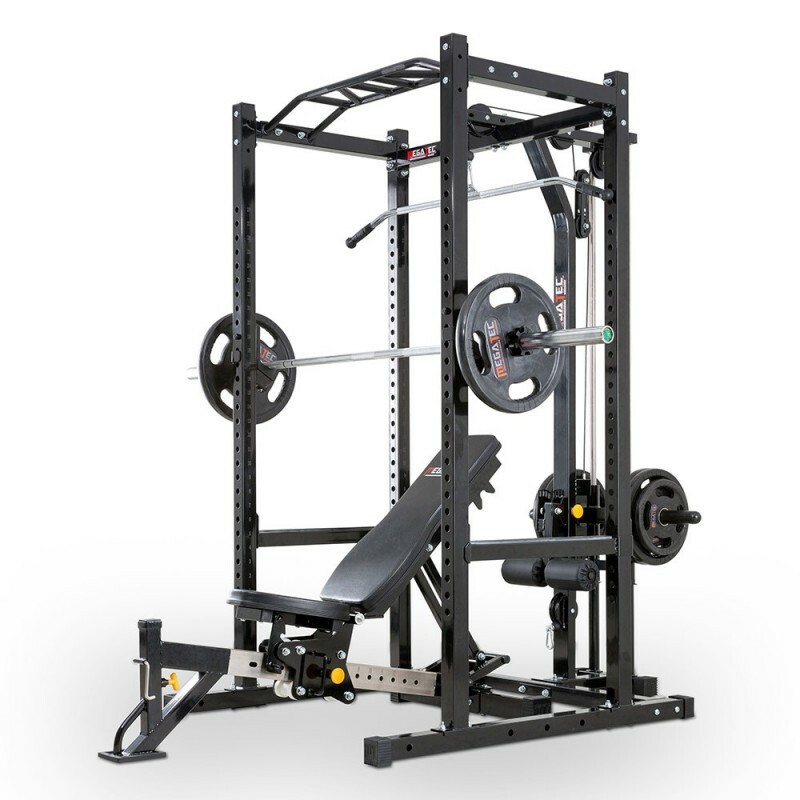 OPTION: For an additional $686 you can upgrade to the 115kg weight stack version. 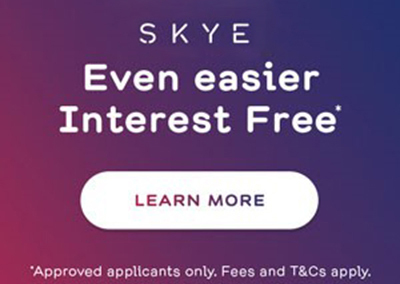 Just select the relevant option.